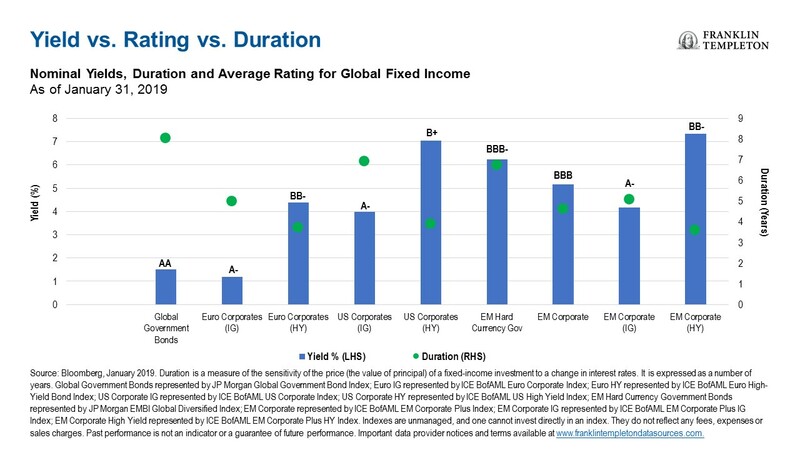 Investors are often surprised by the low rate of defaults among emerging market corporates. 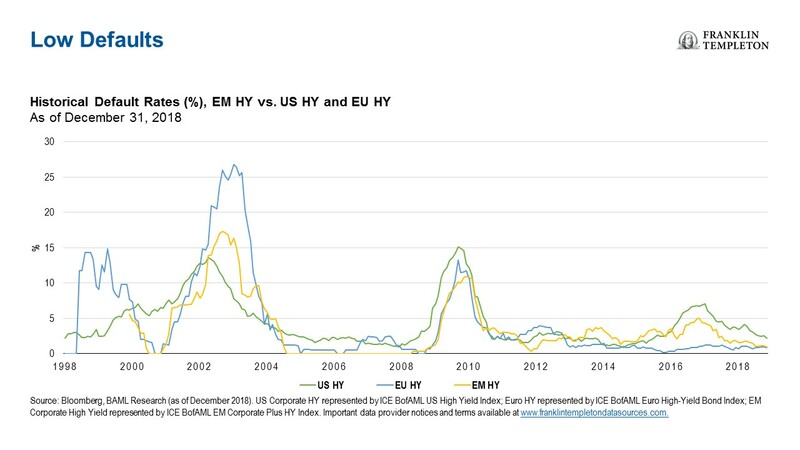 Historically the rate of emerging market high-yield defaults is very similar to the levels among US and European counterparts. 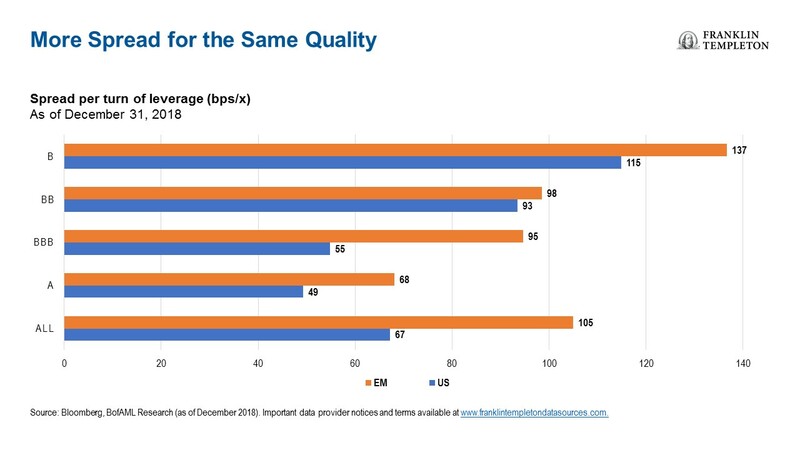 In fact, according to credit ratings agency Standard & Poor’s (S&P), emerging market corporate defaults have been lower than US corporate defaults in 15 out of the 17 years to 2017. All investments involve risks, including possible loss of principal. Special risks are associated with investing in foreign securities, including risks associated with political and economic developments, trading practices, availability of information, limited markets and currency exchange rate fluctuations and policies. Sovereign debt securities are subject to various risks in addition to those relating to debt securities and foreign securities generally, including, but not limited to, the risk that a governmental entity may be unwilling or unable to pay interest and repay principal on its sovereign debt. Higher-yielding, lower-rated corporate bonds are subject to increased risk of default and can potentially result in loss of principal. These securities carry a greater degree of credit risk relative to investment-grade securities. 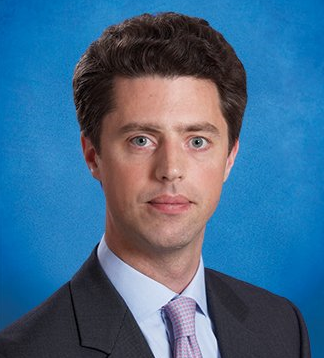 Investments in emerging markets, of which frontier markets are a subset, involve heightened risks related to the same factors, in addition to those associated with these markets’ smaller size, lesser liquidity and lack of established legal, political, business and social frameworks to support securities markets. Because these frameworks are typically even less developed in frontier markets, as well as various factors including the increased potential for extreme price volatility, illiquidity, trade barriers and exchange controls, the risks associated with emerging markets are magnified in frontier markets. Bond prices generally move in the opposite direction of interest rates. Thus, as prices of bonds in an investment portfolio adjust to a rise in interest rates, the value of the portfolio may decline. The views expressed are those of the investment manager and the comments, opinions and analyses are rendered as of the 8 February 2019 and may change without notice. The information provided in this material is not intended as a complete analysis of every material fact regarding any country, region or market. Products, services and information may not be available in all jurisdictions and are offered outside the United States by other FTI affiliates and/or their distributors as local laws and regulation permits. Please consult your own professional adviser for further information on availability of products and services in your jurisdiction.